Like all good books, How Do I Love Thee? began as an idea. What if I brought together a dozen best-selling writers to craft a collection of romantic stories, each in their own special style? Easy, if you say it quickly, and - like most good ideas - simpler to conceive than to achieve. For a start, getting twelve successful, highly creative individuals to do anything together is like herding the proverbial cats. As well as having to work around busy careers, we all have different ideas of what a romantic story should be. So we needed a common theme. As editor, I proposed using Elizabeth Barrett Browning's famous sonnet, 'How Do I Love Thee? ', as our touchstone. I've always loved the sonnet which reflects my own beliefs about love - that it's worth striving for "to the depth and breadth and height" a soul can reach, and even endures beyond death. There are no guarantees all will go well because we are "feeling out of sight" for an ideal. Nor is love limited to the passionate highs, but includes times of quiet reflection. In particular, I agree with Browning that to be worthwhile, love must be unconditional, given "freely, as men strive for Right." Love is also practical, "passion put to use", and endures through the ups and downs, "the breath/Smiles, tears," of life. Straightaway, I knew we had a book. Using the line, "I shall but love thee better after death", Anita Bell gives her story a twist the poet could never have envisioned. Saga writer, Anna Jacobs brings her characters together "by sun and candle-light", while Judy Neumann's story explores the superhero in the mildest of us. Science fiction maven, Sonny Whitelaw, has her lovers travelling through time, while AJ Macpherson's couple take vampires in a whole new direction. Novelist, Alan Gold, finds love on the internet, and Alexis Fleming unearths romance among shapechangers. Golden Dagger winner, Ann Charlton, posits a 'monogamy gene' and Anne-Maree Britton, a different kind of happiness to the everyday. Craig Cormick goes to Fiji for his answers about love, while New Zealand novelist, Daphne Clair looks to the experience of years. My own story lets me answer the many emails I've received over the last couple of years - what happened to Cade, the 'fourth sibling' from my romantic suspense series, Code of the Outback? Cade's foster brothers and sister all had their happy ever after ending, but Cade was left in romantic limbo. Readers of the series can rest easy, his story is finally revealed here. Like the box of chocolates it looks like, the collection has something for everyone, and appeals to the romantic in us all. With my talented colleagues who helped make this book so special, I won't have to look far for the perfect gift to pop in my friends' and family's stockings these holidays, and neither will our readers. This book is the culmination of a dream. I wanted to show not only how to write a successful romance novel, but how a team of international best-selling writers keep doing it book after book. The aim is to shine a light on how others can do it too. Writing is never easy. I do it because I love creating believable characters, exploring their struggles and rewarding them with their happy ending. Even after publishing 70 books and selling many millions of copies in dozens of languages, I still get a thrill out of holding each new book in my hands knowing it started, like this one, as an idea that grew. To me, there's no 'right' way to write a novel. Reading the variety of ways these successful romance authors began writing, got published and keep producing wonderful books proves the point. The 'dream team' comprises Jennie Adams, Helen Bianchin, Daphne Clair, Lilian Darcy, Robyn Donald, Kelly Ethan, Alexis Fleming, Elizabeth Rolls and Meredith Webber. Mine was the fun job (it really was) of creating, editing and writing chapters for the book. 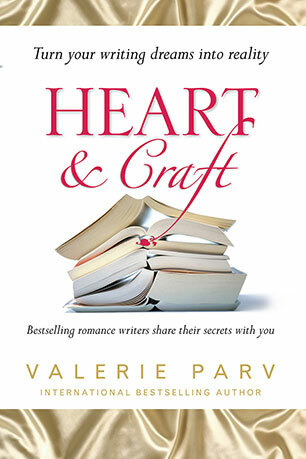 One of my favourite sections includes snippets from all the authors on aspects of craft such as character, dialogue, marketing and the writing life. That our different methods work equally well is shown whenever the contributors feature on a best-seller list somewhere in the world. Do writers lead charmed lives with Brady Bunch families who give us all the time and space to write we need? That sound you hear is us falling about laughing at the very idea. We like to joke about the stereotypical image of romance writers languishing on couches, eating bon bons and dictating our prose. The reality is more like writing around school, home and work commitments whenever the time can be found, or plotting in our heads in bank and supermarket queues. When we're not writing, we keep in touch with our readers through blogs, websites and public speaking. We also study, work out, cook, clean, and fret about life's problems. But we writers have a unique method of dealing with setbacks. Anyone crossing a writer is just as likely to end up as the (disguised) villain in a future book, and their ending won't be pretty. Or if we love you, you may find yourself immortalised as a hero or heroine. So no bon bons. 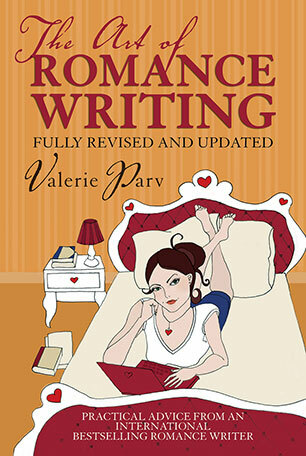 Only the dream of writing successful romantic fiction which this book invites you to share.